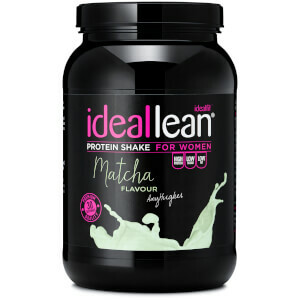 Having helped create IdealLean Protein from the beginning, our amazing female of fitness, Trainer Lindsey brings you our moreish Butterscotch Protein! Deliciously smooth, bursting with creamy toffee flavours and will keep the sweet cravings at bay. Stock up on your guilt-free sugar fix for a limited time only! 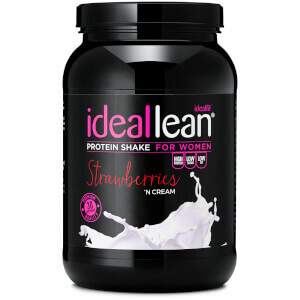 Whey Protein Isolate (73%) (Whey Protein Isolate (Milk), Emulsifier (SoyLecithin), Flavouring, L-Glutamine, Calcium Carbonate, Vitamin Blend (Pantothenic Aacid, Biotin, Vitamin B6, Vitamin B12, Thiamin, Riboflavin, Folic Acid, Niacin),Sweetener (Sucrolose), Acai Powder, Blueberry Powder, Mangosteen Extract (4:1), Vitamin D3, Chromium Picolinate. The taste is really nice and not too strong. But it does have a little aftertaste, comparable to the vanilla protein. I am definitely going to try some recipies with this one, because I think it can work really well in pancakes or maybe chia pudding. Probably a little too seeet to have at 7am in the morning, but absolutely delicious for making pancakes with! I’ve followed idealfits blog recipes and they didn’t disappoint! Caramel waffles are my fave!